During the home renovation, your home will be exposed to all sorts of pests that it was previously saved from. You see, some projects open up holes in your walls, doors or next to your windows, exposing the place to pests that come from the outside. The turmoil caused by various works on the place may attract some pests, while the rubble and debris that will be all over the place may serve as a safe nesting space for certain types of pests. Overall, this problem might not end with the project’s completion either, seeing as how, by the time it’s all over, your home may already be infested. Soon, these pests will start nesting and breeding, which will make the scenario even worse. Fortunately, there are several things you can do to make this situation somewhat better and here are some of them. Time is of the essence and the pest infestation of your home isn’t an instant occurrence. The longer the project takes, the worse it will get. Moreover, a brief project may not give these pests enough time to complete the infestation, whereas the longer this access point remains open, the lower your chances are. Moreover, rushing to finish the project is completely pointless if you leave loose ends in form of unplugged holes, abandoned pipes and more. Doing things quickly and sealing the place properly are the only two methods that will always keep you safe. Looking for some professional assistance might be the best way to handle pests during the renovation. Different companies, nonetheless, specialize in different pest types, which is why you first need to identify the pest that you’re currently having trouble with. Most commonly, termites are the plight of the homes undergoing remodeling. In this particular scenario, pest management experts like people behind Termex could offer both solid advice and some actual assistance. Truth be told, once the infestation actually occurs, consulting professionals is probably the only reliable method that you can turn to. The next thing you need to be aware of is potential hiding spots that these pests might find during the renovation. If it’s the insects that we’re talking about, then the air conditioning unit might be a perfect hiding spot. While you can’t do much to prevent them from infiltrating these spots during the remodeling, once you’re done, you can decontaminate them in order to fix the issue. Still, regular, recurring inspections, from time to time, are more than necessary. Previously, we’ve mentioned that the debris might pose as a potential hiding and nesting place for vermin of all sorts, which is why keeping the place clean and clutter-free needs to be a priority. The problem lies in the fact that, as the work progresses, there will be new debris every day. This is something that you need to discuss with your contractor as soon as possible. Insist that the work site is left immaculate when the project is completed. It would be even better if you were to insist on the idea that the team should do some cleaning without retiring for the day. Another important thing you need to keep in mind is the fact that this infestation usually comes from the outside, which is why you need to take a look at this situation from a different perspective. Namely, go outside and check the surroundings of your home. Try to identify all the potential entry points and consider the way in which you could temporarily seal them, at least until the works are finished. This will help you somewhat control the damage and not have to wait for the project to be over for you to start making some moves. Also, if you find some pest nests in the vicinity of your home, neutralizing them is the best course of action. If there’s any digging that’s taking place during the remodeling, you might disturb some crawlers who will now have to look for a new home. Chances are that they’ll see your home’s, now exposed, interior, to be a suitable replacement. Also, digging around the home might make some opening in its outer shield that needs to be sealed as soon as possible. In the end, it’s important that you know exactly what you’re up against. Potential hiding places, activities that may disturb or attract pests and exposure of your home are just some of the factors that are increasing the risk. 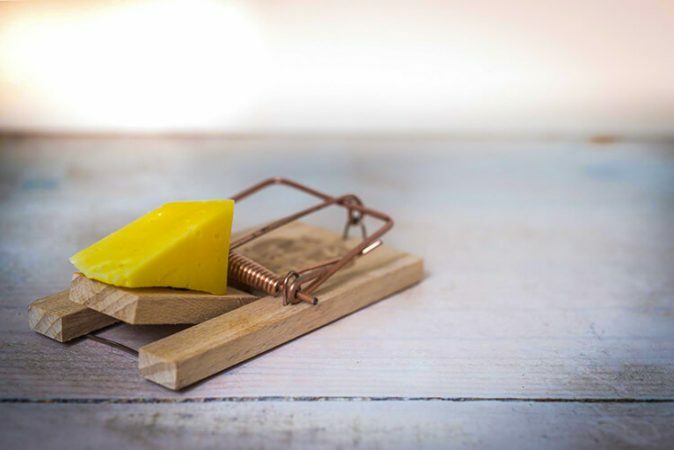 Sure, there’s no way to make your home 100 percent pest-free or pest-impenetrable, yet, with the right course of action, you just might make your job of removing them afterward a lot easier.